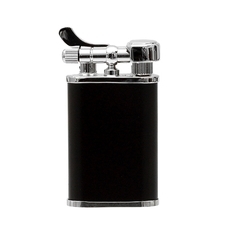 Your lighter, like your choice of cufflinks or writing pen, communicates much about your discerning tastes to others. Let your new Karibi Kabuto Short do some of the talking, others will get the message. It works very well. My only nit pick would be a clunky flint wheel(compared to an Old Boy, and the flame angle tends to leave a lot of soot on the lighter, and sometimes burns the fingers. 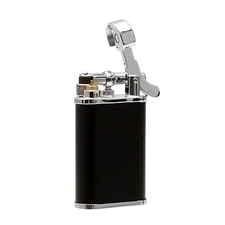 I really like this lighter, Not to expensive lights every time, and I like using flints instead of the quartz lighters.